Welcome to my new newsletter format. I hope the new format will be even easier to read (especially on mobile). The format accompanies the relaunch of erikpelton.com. Take a look around the site and let me know what you think! The answer: it depends. Seriously. First off, it is always better to file sooner rather than later, because some rights occur when the application is filed with the USPTO. The amount of time it takes to complete the application process is not nearly as important as the initial filing date. Of course, not all applications are approved and become registrations. In generally, I tell clients that the application takes about 1 year on average. It can take 7 months. It can take 7 years. There are many factors. how experienced is counsel at navigating the process? was the application crafted well in order to minimize the odds of receiving an Office Action? is docketing and status software being used so that updates are received when the USPTO adjusts the status of the application? are there obstacles to approval, such as a conflict, a descriptiveness finding, or the need to file evidence of use in commerce? Each application is unique. No one can accurately promise or predict the outcome or the timing. If they claim do, raise questions. The most important tips when it comes to the duration of the registration process are (1) file ASAP, even if before there is any use in commerce, and (2) use an attorney to increase the odds of a quicker and smoother process. Creative marks abound. While it can be challenging to come up with a creative brand name or slogan, it is worth it when they stand out. Below are some recent puns and plays on words registered at the USPTO (click marks for USPTO records). Of course, puns are just one type of creative naming, others include coining new words, portmanteaus, and alliteration. Both the Astros and the Dodgers will reap a lot of money based on their participation. I'm sure there is an uptick in jersey and merchandise sales, and in ticket sales for next season. Both teams stand to benefit even more than some championship teams. Because their brands - their trademarks - are unique in the sports industry. To my knowledge, there are no other professional or college team names called "Astros" or "Dodgers." Even better, the names have a suggestive meaning. They are not completely random names or common nouns, and thus much stronger than names like Lions, Giants, Bruins, and the like. Astros evokes space (and the Astrodome) and the Houston space center , one of the landmarks and famous characteristics of the city. The Dodgers name of course dates back to their roots in Brooklyn, New York, and to the trolley tracks that one would "dodge." The marketplace of brands is becoming more crowded every day. There are a record number of trademark registrations and applications, and constant new outlets and channels to promote brands online and elsewhere. Standing out from the crowd is more valuable than ever. Regardless of out the outcome on the field, congrats to the Astros and Dodgers on trademark success! 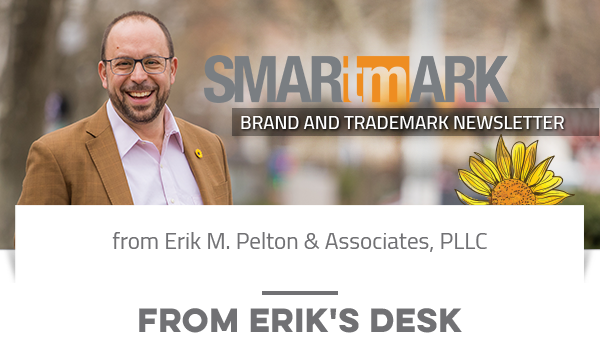 I was recently featured on the Alt Trademarks podcast for a discussion on trademark law, trademark careers, and more. 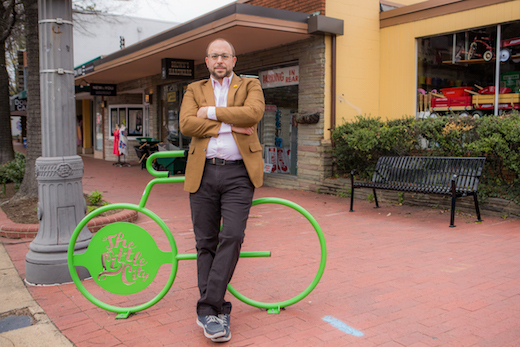 Hannah of Alt Trademarks speaks with Erik Pelton of Erik M. Pelton and Associates in Virginia. They discuss tips from his time as a trademark examiner, some unique aspects of his practice, and the value of mentoring young attorneys.